A little over a year ago we mapped all known pieces by Stik, one of London's most distinctive street artists. He's been very busy since then, and our map got increasingly our of date. 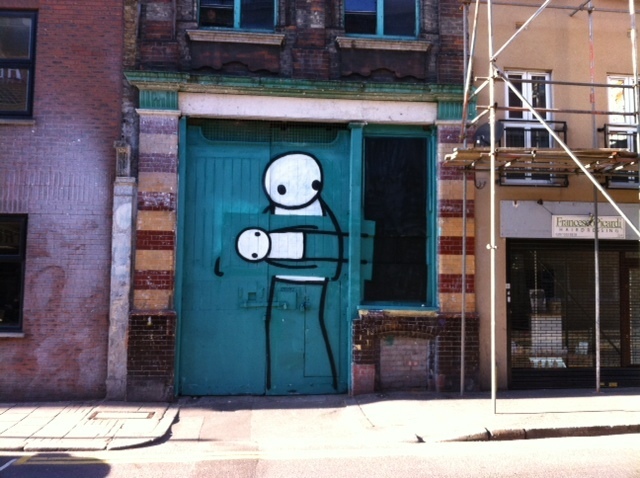 We're pleased to say that Stik's been in touch with an update, and the map is now a comprehensive guide to all his work around London — from Tooley Street in the south, to Hackney Marsh in the north; Phoenix Garden in the West End to Limehouse Cut in the east. Green markers indicate pieces that are still visible, while red markers have disappeared. Most of the map points contain images of the associated work.